This guide will take you step by step in wholesale real estate investing. 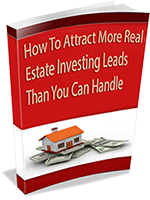 You will learn how to make money quickly in real estate investing wholesaling houses. You are going to need very little money to get started, and you can typically get your first check within a few weeks. And if you get good at locating wholesale real estate properties as you learn in this article, you can wholesale several houses every month and make a healthy income. If you are a new investor, you will have a clear course of action on how to get started making money wholesaling houses. Make no mistake – no single article can cover all aspects of wholesaling houses. This is a huge topic, but we will cover most of the important stuff to get you started right away with no holds barred. It will take a lot of reading and home work, so get some coffee and take some notes. And if you have any questions or comments, leave them at the bottom of this article. I chose to write about wholesale real estate investing because it is my favorite way of making money in real estate investing. It’s pretty easy, and it can work for anyone even if you are a brand new real estate investor. Wholesale real estate investing involves buying houses below market value, and “selling” them at a profit without rehabbing them even if they need repairs. I am using the term “selling” in quotes because sometimes you do not have to actually sell the property itself. An example is when you are using contract assignment. Wholesaling houses is the quickest method to produce cash in real estate investing. It also needs the least amount of cash invested in the deal. Occasionally you can wholesale properties without using your own cash at all. The best source of cheap houses is motivated sellers. People with legal problems are the best source of cheap houses. These are people who have inherited property, bad tenants, liens on their properties, divorcing and so on. We will cover in more detail where to find these people shortly. 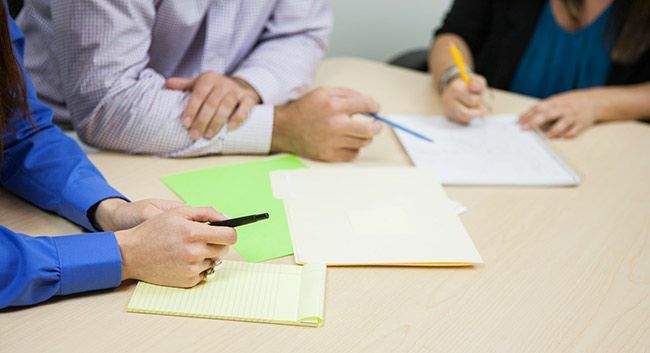 As soon as you have identified a good wholesale deal whose figures look good, you must put it into a binding contract. This is the only time you can make money on the property. Once you have a signed contract, take your contract to your title company or closing attorney for title work to begin. Title work is the process of identifying all liens on the property. You have to pay off each lien holder on the property before you can own it. So you must make sure you identify all liens. This is the work of the title company. As an investor, you do not need to mess with these technical details. Let professionals do their work, and you’ll be safe. Your best buyer for wholesale properties will be a real estate investor. Probably someone who buys properties, fixes them and then sells or rents them. I prefer dealing with real cash in the bank. Cash transactions have few limitations and are better. Most real estate investors buying houses may have sold a house or have a line of credit for cash purchases. Alternatively they may have private money investors or get cash from hard money lenders. I have a big list of real estate investors who may be looking for deals in my market, and I keep building it relentlessly. Avoid wholesale buyers looking for traditional financing. Most loan companies will not lend on houses that need repair. You could also have seasoning issues, meaning they will need you to hold the property for 6 months to 1 year before they can finance it. You then need to sign a contract to sell the property to your wholesale buyer. There are 2 types of contracts – contract assignment or a regular contract if you will be doing a simultaneous closing. You must make ensure follow the transaction process until the deal is closed. You collect your check from the title company when the transaction is completed. It is therefore in your best interest to make sure you close any loose ends and make sure the deal does not fall between your fingers. Now these 5 steps include a lot of mini steps steps in between. While we will not tackle them in exactly the same sequence, we will handle all of them. How must money must you have to wholesale houses? When you sign your contract with the buyer, you must put up earnest money, usually $100 to $500. There is no contract without earnest money – legally $1 would do, but you also need some credibility with the seller. This money must be deposited at the title company, not with the seller. If you do a simultaneous closing, the first transaction can sometimes be closed with cash from your investor buyer so you may not need to use your own money at all. If your buyer source of funds does not allow you to use his money to close the first transaction, then you might need to get transactional funding to a few points to close the first transaction before you can sell. We will look at more details about this shortly. First of all, I am not a lawyer, and you should not take this advice as legal advice. Consult a lawyer in your state to make sure you do not break any laws. The question about whether wholesaling is legal or not is one of the most hotly debated questions in real estate investing. Some will tell you it’s legal, others will tell you it’s not. Both points of view have merit. Some wholesale real estate investors have ended up in trouble because they did not follow the law. A few cases in Ohio come to mind. I could quote other cases but this is the best compilation of many cases involving real estate investors while wholesaling houses. The most common reason seems to be acting as a broker or agent without a license. So how can you wholesale real estate without acting as a broker or real estate agent? For our purposes, we’ll use broker or real estate agent interchangeably to mean the same thing. Who is a real estate agent / Broker? A real estate agent is a trained, licensed professional who represents buyers and sellers in real estate transactions. This of course, is a general definition. Each state also has its own refined definition. Texas has a long definition, so I’ll not quote it here. There are many more, but it seems all the definitions point to representing someone in a real estate transaction. So how can you wholesale property and not break the law? First you need to understand the two types of wholesale real estate investing. In simultaneous closing, you put a house under contract, identify a wholesale buyer, buy it, and then sell the house to your buyer. So there are two transactions. One where you buy the property and one where you sell the property. Both transactions usually take place at the same closing table, one where you buy and one where you sell. So you actually own the house for a few minutes before you sell it. There are two sets of closing costs, one when you buy the property, and one when you sell it. You walk home with the difference between your buying price and the selling price less your costs in the transactions. In this case you do not need a license to do a simultaneous closing since you sell a property that you actually own. Contract assignment means you identify a house below market value, put it under contract, and then assign that contract for a fee to a wholesale real estate investor or buyer. In this case you do not actually sell the house, but you simply sell your right to buy the house to the wholesale buyer. You collect an assignment fee at closing. Contract assignment is the simplest form of wholesaling properties. Note that you do not own the property at any time during the transaction, and you do not represent anyone in the transaction. You simply put the house under contract, and then you sell your right to buy the property to another real estate investor. But sometimes there is a catch. Some states will also argue that you should not market real estate property that you do not own. They include a marketing clause in their definition of a broker. So you could easily get into trouble for locating a property, putting it under contract, promoting it all over Craigslist and other places, then assigning the contract to another investor. You could probably successfully argue this out and win, but how comfortable would you be defending this to your state’s real estate commission or a judge? If it makes you uncomfortable, then there are a few ways you can protect yourself. So how do you make sure you do not break the law as a wholesaler? There a few ways you make make sure you don’t get into trouble wholesaling properties. Make sure you are not break any laws. You can still get away with assigning real estate contracts, but make sure you are not breaking your local laws. This would just cost you some hours of training and around $2000 when all is said and done. When you have a license, no one can accuse you of practicing real estate without a license. Then you never have to worry about not breaking the law. Then you can wholesale properties all day long. As we have seen, when you do simultaneous closings, you actually own the property, then sell it, so you are perfectly safe without a license. However this will limit the type of properties you can wholesale because you need a more equity to wholesale your houses this way. Simultaneous closings come with two sets of closing costs that you have to absorb – so you properties with low equity might not work for you. On the other hand if you were assigning real estate contracts, you can get away with an assignment fee of as little as $1000 with a marginal deal. So let’s look at each step. Where do you find cheap properties to wholesale? To succeed in wholesale real estate investing, you must have a constant supply of leads that you convert to closed deals. If these leads are well targeted to your local market, and they are people who are motivated to sell their houses, you will have a constant supply of properties and good deals. The supply of good deals is not a problem. If you do this right, you will have more leads and deals than you can handle. There are 2 ways to target motivated sellers. In this day and age, almost everything starts as a search on the internet. When people are looking to sell their houses, they must find you on the internet. Incidentally this happens to be very easy. For this to happen, you must have a good website for your real estate investing business. This website must have excellent on-page SEO that targets your local market where you buy and sell houses. You must also target local leads through Google Local and Bing Local. It will handle the job of attracting most of your leads online. It will help tell your story to potential leads, for example when you communicate through direct mail. It will engage these leads to take a specific call to action such as fill out a form or call you. It will follow up with these leads for you and nurture them until they are ready to do business with you, so you can close deals with them. It will automate most of your daily tasks, and keep you well organized so you can close more deals using less time, money and effort. There are a lot of benefits for having a good website for your real estate investing business. This is covered in a separate article. People who are in legal trouble and own real estate usually happen to be real motivated sellers. People who have inherited properties (probate properties) have a real valuable goldmine looking for cash buyers. There are several groups of these motivated sellers. Understand that there are lots of super motivated sellers out there who have no idea they can sell their houses to real estate investors. They only get to know you can help them after you make contact. There are lots of people out there who think they can only sell their house through a real estate agent. When you reach these people you are a savior. Again, targeting these people happens to be extremely easy. Since this can become a long topic on its own, we have covered this in a free Ebook. You can also almost fully automate this process, and have your leads coming like clockwork so you can spend more your time closing your deals. Between online and offline sources of leads, you should have more leads than you can handle in your local market. And hopefully lots of wholesale real estate deals. We are going to be using the term “motivated seller” quite often. A motivated seller is someone who really needs to sell their house because it has become a liability they can no longer afford. Whether they find you through the internet, or whether you make the first contact, identifying the real motivated sellers will determine how much money you make in wholesale real estate investing. Pre-screening is probably the most important part of wholesale real estate investing. It is the process where you identify good real estate deals and weed out those that cannot make you money. 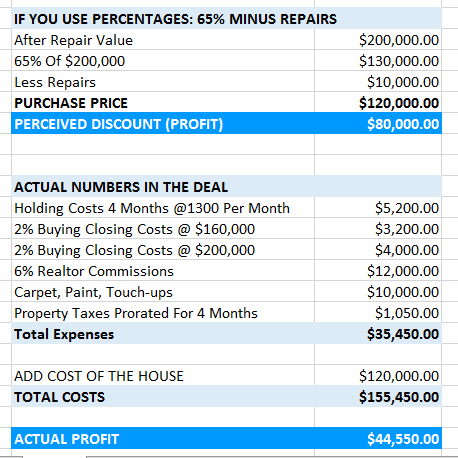 What is the after repair market value of the house in its perfect condition? Talk to the seller, run your own comps, but do establish the true value. 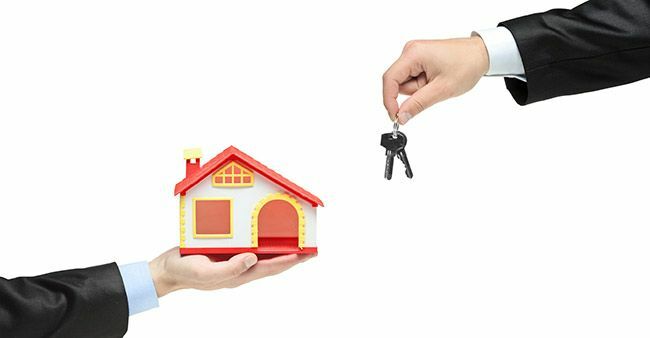 What is the mortgage balance including any junior mortgages and liens? Is the property in foreclosure? In Texas, there is usually not enough time to stop foreclosure. This makes it impossible to wholesale such properties. What will it cost to do all the repairs needed? What are they asking for it? What is the lowest they can go? Most of the best deals in real estate investing come from people who are motivated to sell their houses. Even though the market has so many houses sitting there without buyers, not all sellers are motivated enough to leave enough room for you to make a profit. And not every house has the money for you to make a profit out of it – even if the seller could be real motivated. You must therefore weed out time wasters without turning away good deals. Here are 5 things you must know before you talk to the next motivated seller. You must be the one to lead the direction in the conversation. Your conversations be directed answering to all the vital questions you need to determine if you have a deal or not. Most buyers start talking about their beautiful house, updates they have done, nice neighborhood, and so on. Almost all of them are attached to their house and can continue for hours if you do not lead the conversation. None of this information is of any value to you unless you can buy their house at a price that makes you a profit. Always follow a script whenever you talk to motivated sellers. The script you use simply has questions you need to ask. The questions can be answered in any order. Try to make it sound like a conversation instead of a question and answer session. In most cases you will know if you have a deal or not within 2 minutes. You can get a super effective script tested and perfected over many years and thousands of leads the Ebook We have this script in a How To Attract More Real Estate Investing Leads Than You Can Handle. First of all, you must deal only with motivated sellers. If someone cannot tell you the mortgage balance, they are not motivated enough. Most motivated sellers have no problem talking about their mortgage balance; they talk about it as casually as the number of rooms. Secondly, most motivated sellers need to be pre-screened through a good real estate investor website. A few of them will still prefer to call, and they usually have to be motivated enough to leave a voice message. In my business, my virtual assistant then calls them and enters all the information on my website. By the time I get to talk to them, I already know if it’s a deal or not. This way, I avoid wasting my time or the seller’s time with houses I might never buy. Do not represent yourself as Mr. Big Corporate House Buying Company. You are just a regular guy that wants to buy their house as an investment property. Their house seems to meet your needs. Build rapport with them as you talk, especially when you establish you can make the deal happen. Don’t try to be Mr. Big Stuff. Listen, listen, and listen – and since you are leading the conversation, learn how they got into the predicament, what repairs are needed, etc. They will tell you all you need to know to determine their level of motivation, asking price, equity and repairs. And usually this will happen naturally if you lead the conversation, without sounding like you are “reading a script”. Always negotiate lower even though the asking price might look low. You will be surprised how much more you can get by simply negotiating. You can negotiate on appliances, closing costs or even furniture, not just the price. One simple way of negotiating is letting them understand what your costs are in the deal. I always let a seller know that even though it seems like they are giving me a deep discount on their property, I have to fix it, then sell it, probably hold it for a few months and eventually sell it at a deep discount. And sometimes when the market is low, I’ll probably not be able to sell it at all! I explain that I might lose most of my profits when I hold it. When most sellers understand these facts, most of them relax. I like to make this clear before I can make an offer. I have come to learn that even though motivated sellers really need to get rid of their properties, they do not like to feel like they are being taken advantage of. Most of the times I negotiate over the phone even before I see a property. Of course I will only make an offer after I see the property. I can pause for as long as 1 minute. This works like magic. And they will probably talk their way down. Again I will then listen as they talk their way down. Once I see the house, then I will make my offer. If their asking price is still too high for me, I will still make a lower offer, while still looking out for the needs of the seller. Most of these offers will get accepted. Remember that until you have a signed contract, you have no deal. A contract will stop them from shopping your competition. As long as you remember to treat them nice, with respect and with sensitivity, they will be as keen to sell you their house as you are to buy it. What do you do if the house is listed for sale? Sometimes motivated sellers try to sell their houses with a real estate agent. As a real estate investor, do not make your offers through a Realtor. You can never wholesale such properties. Explain to the seller that you can buy the house, but due to real estate commissions, your offer cannot work for them. Ask them to call you when the listing expires. Some of them may have listed the houses for months with no buyer. Usually they will ask their Realtor to cancel the listing. Then you can make your offer as a wholesaler. As we have seen, motivated sellers will be your best source of great deals. When you are buying houses, you will come across all types of sellers. You must be able to identify the motivated sellers who drive your business. I am particularly fond of targeting people with legal trouble who own real estate. Most of these people turn out to be truly motivated to sell their properties. If you also do general advertising such a classified ads, bandit signs, and so on, you are likely to attract all kinds of people looking to sell their houses. So how do you identify the motivated sellers? There are 3 types of sellers. This is the person that thinks their house is the best in the sub-division. They have taken great trouble to make sure it’s perfect for the next owner lucky owner. They have probably tried to list it with their Realtor, or even for sale by owner, but they have failed. They are looking the full market price. They will not discuss numbers, such as their mortgage balance. This is the type of person who calls you and says he might be willing to let you buy his house, and asks you to explain how you work. He will listen keenly, maybe ask questions, but again is not very forth-coming with necessary information such as mortgage balance. He will probably tell you he has been trying to sell it for say, $150,000 and ask you to make him an offer. He will probably ask you to go see the house first before you even know the numbers. 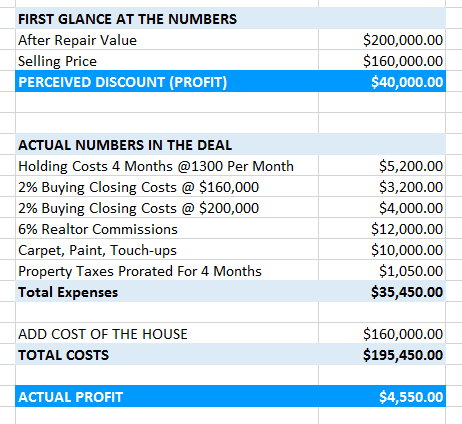 Never go to see a house before you know the numbers, and establish you can make money on the deals. This is the person who really needs to sell their house. Maybe they are behind on their mortgage payments or even facing foreclosure. Probably they have tried to sell and see no other way out. They will give you all the information you need without hesitation. Most of them just want to get out of the mortgage. This is the only type of seller I deal with in my business. And you should too. This is where great deals come from. If you polish this step of your wholesale real estate investing business, you can automate most aspects of your lead generation to free up your time and close more deals. Sometimes you find a motivated seller who just needs reassurance that you are genuine. For example, they may feel uncomfortable discussing the mortgage balance and how many payments they are behind on. First of all, I only get to talk with motivated sellers who have already been pre-screened and the numbers already make sense to me. Learn how you can do the same. Sometimes a motivated seller will ask you “why do you need to know my mortgage balance?”. Then shut up… say nothing! They will provide the information. Don’t be surprised that their repair estimate is always on the lower side. Always assume you will need to do paint, carpet, bathrooms and kitchen. When you take your conversation like this, you are likely to get more accurate answers that you can rely on. To be successful in real estate investing, you must buy your houses low and sell them high. So how do you know that a house has enough equity to make a profit for you? Suppose you are buying a $200,000 house for $160,000. At first glance, it LOOKS like you have an equity of $40,000. Let’s assume the house just needs a new carpet and paint plus a few touch-ups before you can sell it. Your monthly mortgage payment will be $1300. We will assume that you will complete repairs within 30 days, and that houses are sitting an average of 90 days on the market before you can sell them. You only stand to make just $4550! If anything goes wrong, you will make a loss. For example if you end up spending more in repairs, or it takes two more months before you can sell it, you are end up making a loss in the deal. Scenarios like these are very common with real estate investors. As a wholesale rear estate investor, you should only work with PERCENTAGES not dollar figures. I acquire my properties at 65% minus repairs or lower. Remember you will need to wholesale your properties at a good price to sell them fast. Let’s look at the same deal if we buy it at 65% minus repairs. You would make $44,550 in the deal – about 10 times! This of course assumes you can sell it at its actual after repair value. Even if something happens, such as longer holding period or you spend more on repairs, you still have some room. Assuming you used hard money at 14% to borrow $130,000 to buy the property and fix it, you would spend an extra $18,200. I am using simple round figures to make the calculation easier. Hard money lenders have costs like points, doc prep. fee, appraisal, home warranty, etc., so this should cover all costs safely. Your total profit in this deal would be $26,350. Stick with percentages and you will stay safe. If you are already an active real estate investor, you probably see a few houses every week. What you might not realize is that what you do when you go to see your houses determines the consistency with which you close deals. Every time you go to see a house, you must have pre-screened the deal before and determined that you can make money from it. And what you do when you go to see the property can determine if you end up making money or not. Here is a list of things you must take with you when you go to see your houses. When you go to see most houses, you are likely to find the utilities disconnected. So you do need a flashlight. This applies to most vacant homes you will go to see. Always keep a flashlight in your car. It always comes in handy. 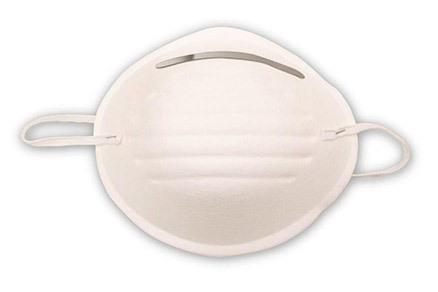 As unlikely as this sounds, I have found it necessary to wear a face mask several times when I inspect a house. I am referring to the mask that covers your mouth and nose, not the ninja type mask. Recently I went to see a house that had been vandalized. They vandalized everything including the copper in the plumbing. And the good old vandals left the water spraying all over the house. By the time the neighbors called the city to turn off the water, the house had been flooded for a few days. Of course this resulted to mold in the house. And I had to cover my face and make sure I did not breathe the mold just to see the house. Keep a simple face mask in your car as part of your toolbox. A box of dust mask at Home Depot costs about $7. Lots of vacant houses stink and are infested with fleas. You end up touching dirty doors, knobs, etc. Sometimes you end up getting infested by fleas. I always spray my shoes with insect repellent and sanitize my hands after I am done inspecting a house. If you don’t have a digital camera and video recorder, get yourself one. In most cases you just need a good smart phone. Always take some pictures and video whenever you go to see your houses. I have made a habit of recording my voice to narrate useful things whenever I go to see a house. I find it easier than having to take notes. Of course this is an obvious must have. I generally find the one on my smart phone enough for my needs. This is one tool you will always need, whether you are estimating repairs, making offers, etc. These come in handy when you find houses that are boarded up. You have to gain entry, then re-board it after you are done. Keep these in your car, you never know when you will need them. By the time I go out to see a property, I already know about the repairs needed when I pre-screen the sellers. My visit serves to confirm the information I already have. I already have comparative sales done and I have an idea of the offer I will make. I can revise these numbers if things on the ground change. Always be prepared to make an offer before you leave. If you have done your pre-screening well, you will already know the asking price when you go to see the house. Most motivated sellers will accept your offer right there. Most people will accept an offer that you make face to face than an offer you make over the phone or by email. The time to sign the contract is when the seller accepts your offer, not later. You must be ready to sign your contract when your seller accepts your offer. You must have contracts ready to sign, or even blank ones in your car. Most motivated sellers know other people who are in a situation similar to theirs. Make sure you pass your business cards to them. Of course, remember to promise a gift if they refer their friends. As soon as I get a house under contract, I put a “We Buy Houses” sign on the yard, with the owner’s permission. These signs can bring you a lot of extra business. Now that you have located a motivated seller and agreed to buy their house, the next step is to put the house under contract. You do not have a deal until you have a binding contract. As we have seen, contract assignment means that you assign the right to buy the property from yourself to another buyer, usually a real estate investor. In simultaneous closing, you actually buy the property from the motivated seller, and then sell it to your buyer. Usually this happens on the same closing table, so you will own it for only a few minutes. Some lenders will require a seasoning period before they can finance a property. This is why you must specifically ask for the source of cash from your buyer. If you do a simultaneous closing, one of 2 things will happen. You can use your buyer’s cash to close the first transaction when you buy the property. The same cash is used to close the 2nd transaction. You walk away with the difference. In this transaction you spend no money. Sometimes, the cash cannot be used to close the first transaction. In this case you might need transactional funding to close the transaction where you buy the property. Typically hard money lenders will not need any money from you to fund such a transaction. How Do You Know What Type Of Contract To Use? The type of contract you sign depends on the amount of money in the deal. First, you must leave enough money in the deal for the real estate investor buyer to wholesale quickly. If I stand to make less than $5,000 I prefer to do a contract assignment. If I am making more than $5,000 or my profits are near or the same as the real estate investor I sell to, then I prefer to do a simultaneous closing. When you do a simultaneous closing, only you will know how much you make. When you stand to make a lot of money, some people think you are being selfish and they feel obligated to re-negotiate or look for another deal. Remember, always collect earnest money when you sign the contract. Always make sure the earnest money is non-refundable if they do not buy the house. Always make sure the contract expires by a certain date. 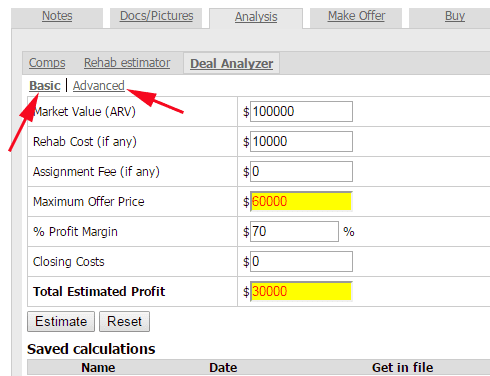 In contract assignment, the need to close two transactions with two closing costs is eliminated. The assignment fee stated in the contract is what you walk home with. You must show the assignment fee in the contract. The final closing statement also includes the assignment fee, meaning that all parties know what you make in the deal. Be careful not to lose the deal because some seller or buyers could develop cold feet when they see how much you are making. To eliminate this risk, I only do assignment of contract when I stand to make little money. I use simultaneous closing when I stand to make $5000 or more in the deal. Some deals also cannot be assigned, such as those involving a Realtor or REOs. Such contracts usually specifically disallow contract assignment. The biggest advantage is that even with little to no money, you can make a deal happen and walk away with a profit. Where Do You Get These Contracts? If you have been to a real estate investing seminar, you probably have a contract for buying houses. And you can also find numerous contracts that “can be used in every state” in the USA on the internet. In each state, there are contracts regularly used by real estate agents. These are your best bet, and they are free. Even though I have access to so many simple contracts that can be used in all states, I prefer to use contracts mandated by our state real estate commission. This is because they are more popular to people selling their houses. The fact that they are mandated by the local state real estate commission makes most people comfortable dealing with you. Secondly, when you approach a title company with your own contract, they will want to pass it through their lawyer. The last time I tried my own contract, I paid $600 to have the contract reviewed before the title company could use it. They then suggested a few modifications that would have cost me more money. In the end, I ditched it for a contract mandated by our state. It will not cost you anything to use your locally mandated contract – even if you are not a real estate agent. The official state real estate contract is also updated regularly to cover changing federals and state laws, so you can never go wrong with it. And in most cases it’s pretty straight forward. So how do you assign a contract? The following simple steps describe the process of assigning a contract. If you use your state’s real estate contract, most likely it will be at least 10 pages or more. But there are only a few places where you can fill in the blanks such as price, buyer, seller, disclosures, etc. The contract must explicitly allow you to assign it. The easiest way to do this is put the buyer with “and or assigns“, e.g. “My Company Name and or assigns”. Without this little clause you will not be able to assign the contract. How do you explain this to the seller? It is very important that you let the seller know that you can assign the contract to another investor. I usually tell them that I could partner with another real estate investor to close the deal, or that my partner can close the deal on the same terms. I make sure they understand that I will never be paid until I close this deal. So they know it’s in my best interest to get the deal done. Or that I will never make a penny out of it. You must also make sure they understand that the contract and closing will not be changed. They do need to understand that whether you close the deal yourself or “your partner” does, at the end of the day, you will make some money out of it. And I tell them that I am the one who will take the lead and I will personally keep them updated every step of the way. Tell it like it is – so far for so many years, I have not met a motivated seller that objects to this. But I have to repeat it – you must tell it like it is. And there will never be any misunderstanding. Now it’s time to get the title work done. The closing agent is usually a title company or closing attorney. These are the people you should let do the title work. When you first talk to a motivated seller, you must pre-screen them properly to get all information on what is owed on the house. This includes any junior mortgages and liens on the property. In my business, I can check the county records online to see this information. But I always let my title company do this job in case something slips between my fingers. They don’t charge me anything for title work because I close all my deals with them. Example – How I lost $1000 because of not pre-screening properly. I once got a great deal which I identified as a great short sale candidate. It had 2 mortgages, and even if I would still have made some money if I paid off both mortgages, I decided to negotiate a short sale. All the owner wanted was to get rid of the property without foreclosure. We did all the necessary paper work for both short sales and within a few weeks had both my offers accepted. The house needed some repair, but no structural damage like foundation or roof. There was also a lot of junk to remove and touch-ups I had to clear before I could wholesale it to another real estate investor. The yard was overgrown; there was tons of trash to haul off, and general cleanup. I ended up spending over $1000 cleaning things up and got it ready for wholesale. I spent this $1000 before I had the title work done. I was pretty sure I was going to flip it easily and quickly lined up a buyer with cash. In the meantime my title company started the closing process including title work. It turned out there were two other liens the seller did not disclose! Both were mechanic liens attached to the property. One of the liens was easy to track down, but the other one had been sold twice and none of the contact information on the lien was working. In short, we had no way of negotiating one of the liens. This means I could not own the property free and clear unless we contacted all lien holders and agreed on a pay-off. Those liens could only be wiped off through foreclosure. I ended up giving up on the property after spending weeks negotiating both short sales and spending over $1000 getting the property more marketable. Always check the title before spending money to make sure the property is marketable. Now that you have learned how to buy houses cheaply, how do you sell them quickly to make money? Selling houses is the easiest part of wholesale real estate investing as long as you can identify good deals. Whatever you do in wholesale real estate investing, always keep building your buyers list. As the name suggests, a buyers list is a list of people who buy houses in your area. 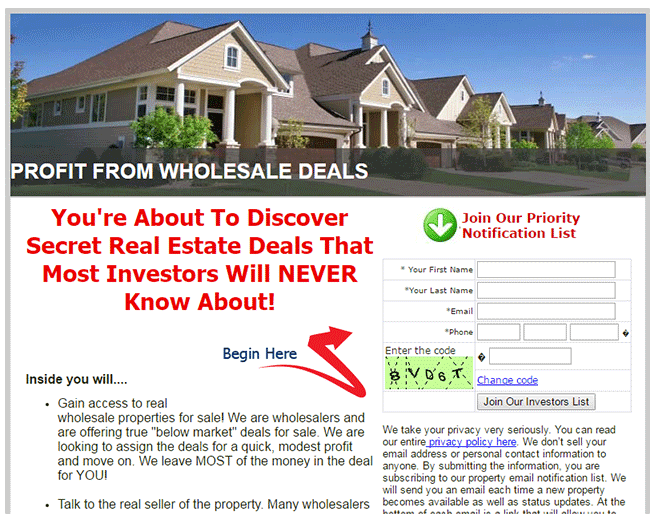 In your case as a wholesale real estate investor, you need a list of people who buy wholesale deals in your area. This will become a golden list for you. I cannot recall the last time I had to advertise a property for wholesale. I simply send an email, and I typically have a buyer within hours of my email. And because I have done this long enough, I have a few preferred buyers who beg me to always send them my deals before I send them to anyone else. It is truly a golden list. I hear most real estate investors say they want to build their buyers list before they can buy their first property. Which comes first, the buyers list or the property? Not having a buyers list should not stop you from buying houses. Once you get a property, the process of selling it is easier than you think. You should never hold off buying your first good deal because you don’t have a buyers list. So how do you build a buyers list? 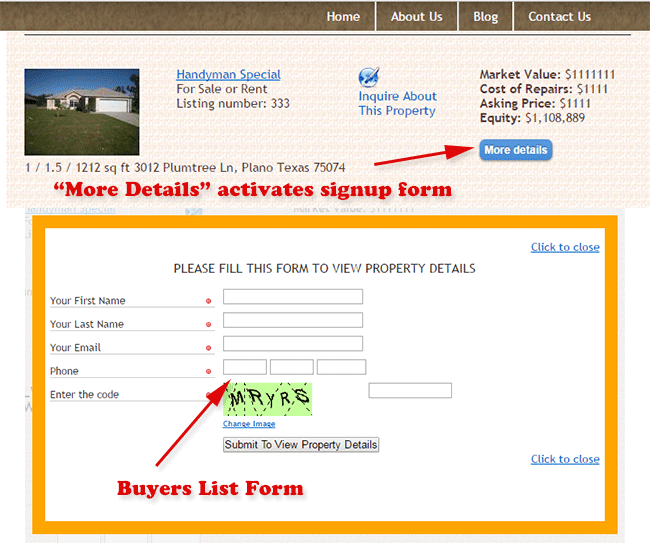 You must have a place to send real estate investors to sign up to your buyers list. A wholesale real estate investor website allows you to manage your buyers list and send out your deals. Potential cash buyers simply sign up on your website to be notified when you have new deals. If you already have properties for sale, only give them access to property details once they have provided their contact information. Our real estate investor websites come equipped with this feature that you can activate from a virtual back office so they provide their email before they can view full property details. If you do not have properties for sale you can use an effective squeeze page, or landing page that convinces them to join your buyers list before they can access your properties. Activating these features takes just a few clicks from the virtual back office. You can then start marketing your properties or squeeze page to build your buyers list. They will get an instant email thanking them for joining your buyers list and that you will be sending them deals or homes as they become available depending on their needs. They can also share your properties on social media like Facebook, twitter, etc., which further helps to build your buyers list faster. Need A Website For Wholesaling Houses? Get a fully optimized website built to attract and convert real estate investing leads for you. Also helps you build your buyers list while you sell houses. Any ad you place anywhere must have your website address where to view the property. I built my first buyers list of about 200 real estate investors on newspaper ads. I never provided a phone number, just a web address that had a squeeze form. They had to provide their name, email and phone number before they could view my properties. In today’s market, you can also advertise in places like Craigslist and other online media. Always make sure they go to your website where they can sign up. In addition, you can also provide a phone number with a voice mail that also points them back to the website. By the time you get to talk to anyone, they have probably already joined your buyers list. If you attend local real estate meetings, you will probably build your buyers list pretty fast. Every time I attend one I come home with a bunch of cards of people who want to join my list. Most real estate investors get excited when they get a potential buyer. They are just potential buyers until you get proof they have money to close the deal. Once a potential buyer calls, I will take down their full contact information and either give them the lockbox code if I know them, or show them the property. If they want to buy it, they must tell me their source of cash. Is this cash in their bank account? Did they just sell a property? Are they working with a line of credit? Do they have a private money lender or a hard money lender? In other words, they must provide a clear proof of funds. Do not rely on sellers who are hoping to get a mortgage from a bank. They must have cash, and the ability to close quickly. Once you have identified a real estate investor buyer, you then sign a contract so you can sell the property. As we have seen, if you are doing a simultaneous closing, you will sign a regular purchase and sale agreement, just like the one you did for buying. However in this case, it should not contain “and or assigns”. Your buyer must have verified source of cash. They must close the deal themselves. If you are assigning the contract, then you just need to sign a simple agreement for them to take over your contract for an assignment fee. Here’s an example assignment contract (click on the image below). Again remember to consult your attorney first. You must collect earnest money when you sign the contract. The title company usually keeps the earnest money. I never collect less than $500. The amount depends on how sweet the deal is to my buyer. Usually I credit the earnest money to the deal at closing. If they do not close the deal they stand to lose their earnest money. The contract must expire on a certain date that you agree. This date must be before your contract with your motivated seller expires. Otherwise if your buyer does not close the deal, you can still get another buyer. Where Do You Get Money For Wholesale Real Estate Investing? The good thing about wholesale real estate investing is that you usually need very little money for most deals. This will be in the form of earnest money, which is around $100 to $500. But sometimes, as we have seen, you might need transactional funding especially if you are doing a simultaneous closing. So where do you get this money from? There are several sources for finding financing for your deals. There are many lenders in the real estate market such as hard money lenders and other non-conventional lenders. You can easily find these lenders by attending local real estate meetings or a simple search on the internet. In other words, lenders are not in short supply. And they usually do not care if you have bad credit. Most will finance you on the strength of the deal, not your personal credit. Talk to other real estate investors in your area to identify the best lenders for your needs. Private money is the cheapest way to finance your transactions. In most cases you define the terms of the deal. 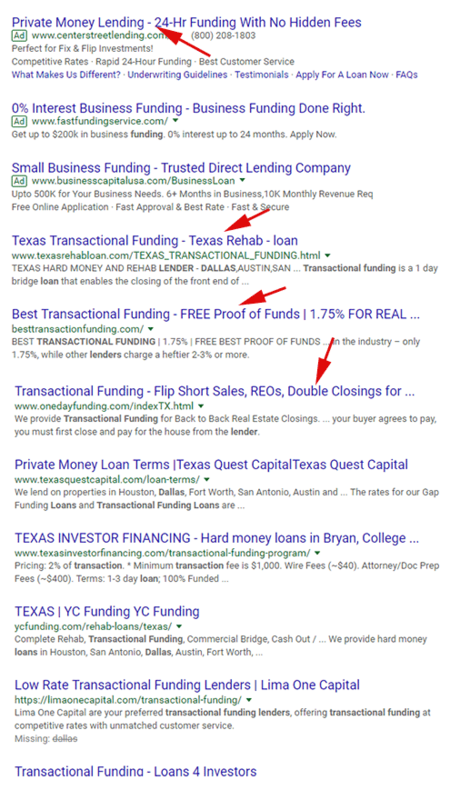 Again a quick search on Google for “private money lenders in dallas TX” gives me several results including a directory of private lenders. There are also many resources such as this one. Note that most of these are companies that lend privately. Sometimes you can find individuals to lend you money privately. This will be the cheapest source of private money for you. It’s quite easy to find partners especially in your local reia meetings who can put up money on a deal to deal basis. The terms of the partnership will be as you agree. Since they are putting up this money just for a few minutes without any risk, it’s really cheap money. When all is said and done, the supply of money for your real estate deals will not be a problem as long as you can locate good deals. Your wholesale buyer will now go through the process of funding the transaction for closing. If all goes well, you will walk home with cash. Most wholesale real estate deals take 14 days or less to close. I have closed a deal in 2 days because it was a really good deal and it would have otherwise gone into foreclosure. Keep a close eye on the progress of the closing process. Make sure the financing has been confirmed in a timely manner and that it has been wired to the title company. You should not have any issues if you pre-screen your buyers properly. Rinse, repeat and make more money. As we have seen, wholesale real estate investing is the fastest way to make money in real estate investing. It is also the business model that requires little cash investment. However, you need to avoid the following common mistakes that can take you down. You must buy your houses from the right neighborhoods – this is a golden rule. Avoid buying houses from “war zones”, or areas where you cannot sell easily. If you buy a house in the “hood” hoping to wholesale it, you might not have any interested buyers. Don’t get excited that the house is cheap. Likewise, avoid the high end neighborhoods – it is hard to wholesale expensive properties, and the numbers will not make sense. And most likely you will end up making a loss. You are better off staying in neighborhoods that are middle income to lower middle income range. This is also where you also find most of the properties. In my area, I stick to neighborhoods with houses between $100,000 and 200,000. You have to establish the right safe price range where you live. This is a trade-off only you can define depending on where you come from. So why are these houses so profitable? Most people live in the middle to lower income brackets and neighborhoods. Meaning there are more houses to buy. You will get better results in your marketing when targeting these neighborhoods. In most markets, high end and low income houses are usually less. Even in tough real estate markets, these neighborhoods will present very profitable deals. Of course you must target properties you can afford. Middle to lower middle income houses are more affordable regardless of your business model. They also happen to be easier and cheaper to fix. When you are a wholesale real estate investor, chances are you will see your properties to a landlord. Houses in these neighborhoods are easy to rent. Most tenants prefer this price range. Most people buying houses are looking for the middle to lower income houses. If you are a wholesaler, it will be easier to wholesale these properties. Some lenders will only lend if you buy within the price ranges they have defined. These usually fall within the medium range neighborhoods. You must be able to estimate repairs fairly safely if you wholesale houses. You do not need to be accurate to the nail. You should be able to spot all required repairs – some of them can get expensive like the roof, foundation and other structural repairs. The less costly ones include carpet, paint, kitchen bathrooms, windows, fixtures, etc. The best way is to have ball-park figures for each item. This way, it is possible to have fair repair estimates in 10-15 minutes. Of course your estimates must be on the higher side so you remain safe in case you make a mistake. Our websites come equipped with rehab estimators to help you avoid this mistake. Paying too much for houses is a common mistake real estate investors make. The most important part of real estate investing is making an offer. When wholesaling properties, you must make a profit and still leave a profit for your real estate investor buyer. Obviously, as long as you know the estimated repair costs and the after repair value (the value after repairs), you will be able to make an offer that both gets accepted and leaves enough cash on the table for both you and the wholesale buyer you flip the house to. If you have one of our websites, you can easily estimate repairs directly from your virtual back office. Do not go above your offer price. Negotiating with the seller is better than being stuck with a property you cannot sell. Our real estate investor websites offer a deal analyzer tool that comes in handy in this. You can only buy houses if you are making offers. They will accept some, they will reject some. The more offers you make, the more offers will get accepted – and the more houses you will buy. Remember that you should not assume you need to have a lot of cash, and ready buyers, before you can buy houses. This is not true. In most cases, you probably just need some earnest money. You must make sure you always follow up in time. Whether you are following up with motivated sellers, or if you are following up with your buyers when you are selling your houses, you must follow up in a timely manner. You will end up closing more deals when you buy more properties and you sell most or all of them promptly. When you are selling your houses, you must collect earnest money from your buyer. In your contract whether you use a contract assignment or simultaneous closing, you must make it clear the buyer will lose their earnest money if they do not close. Make sure this is a substantial amount – at the very minimum, you should collect $500 in earnest money. You must also make sure you know their source of cash. I have had some real estate investors tell me their source of funds is “cash”. Have they just sold a house? Are they using a line of credit? Are they getting a mortgage? What is the specific source of this “cash”? Never fail to verify the ready availability of cash – or you can easily lose the deal. If they are planning on getting a mortgage, get another buyer. Wholesale deals are not funded by conventional mortgages. Keep your seller on the loop at all times until you close the deal. I like to give them a call every few days to update them on my progress in closing the deal. And sometimes you might need to re-negotiate the deal. For example, I recently had a wholesale deal where my motivated told me she did not know where to take all her belongings when she sold the house to me. Since she had no money, she could not take her belongings to a storage facility. I ended up re-negotiating $2000 with her. I return, I hired a moving truck and paid 2 months’ worth of storage for her. The entire process cost me a few hours and about $500 in cash for the storage and handymen. Just by keeping in touch, we closed the deal and I pocketed an extra $1500. At the end of the day, we closed the deal, and we all went home with money in our pockets. Hopefully the information in this article will get you started in your journey in wholesale real estate investing. Identify properties that have equity. Motivated sellers will be your biggest source of these deals. Sign contract to buy the property with the seller. Check the title for liens through your title company. Identify a real estate investor that buys wholesale properties in your area. Most likely these are people who buy, fix and flip houses, or landlords. Sign contract to sell with your wholesale real estate investor buyer. Follow up until the deal closes and collect your cash.